Posted on 2, April 2019 by EuropaWire PR Editors | This entry was posted in France, Industrial, Infrastructure & Utilities, News, Technology, Transportation & Logistics, Turkey and tagged Alstom, Eurasia Rail, Exhibitions, Mrs Arban Citak, rail industry, rail solution, rail technology, rail transport, rolling stock, smart innovation, smart mobility, train, Turkey. Bookmark the permalink. 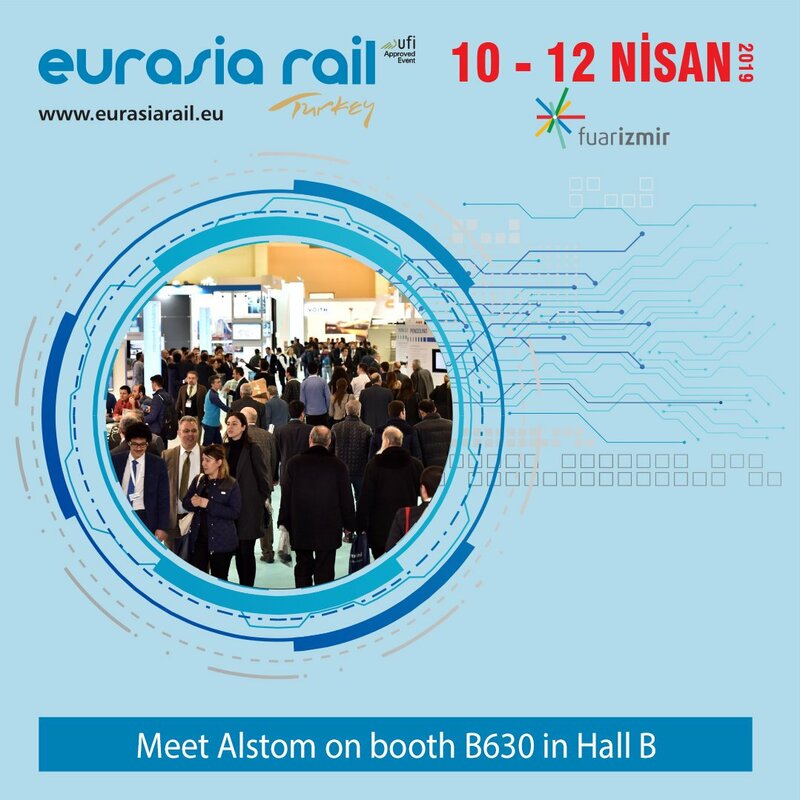 SAINT-OUEN, France, 2-Apr-2019 — /EuropaWire/ — Alstom to participate at Eurasia Rail from 10-12 April 2019 in Izmir, Turkey. Eurasia Rail is one of the leading rolling stock rail industry exhibitions in the world and the largest in the Eurasia Region. Alstom will showcase its latest rail technology. The company will exhibit Coradia iLint, the world’s first passenger train powered by a hydrogen fuel cell; and Pendolino, a flexible and interoperable passenger rail solution for high-speed and conventional lines, running at up to 250 km/h. Alstom will also highlight its successful APS ground-level power-supply solution for the Istanbul Metropolitan Municipality together with its range of services for trains, infrastructure and rail control systems. Alstom will present its highly reliable power system that reduces the light rail lines and preserves the aesthetics of urban environments, APS technology; and its solution that offers multiple Specific Transmission Modules (STMs) for compatibility with conventional system, Atlas Trainborne. Alstom’s services solutions which offer a complete range of customised services including maintenance, modernisation, parts, repairs and support services in training and obsolescence will also be featured at its booth. For more than 60 years, Alstom has been present in Turkey and has supplied metro cars and trams to the city of Istanbul. Alstom has an office in Istanbul which is the hub for signalling and systems projects and the management centre for the company’s Middle East cluster.